I walk across the threshold between street and sand and feet leave sunken tracks up the sandy drifts. I reach the top of the dune and my breath hangs in the swirl of salt and sea. I take in the vastness of this long stretch of beach as my feet obey the call of the crashing waves. the ebbing power of the green-blue ocean as it reaches beyond the horizon reminds me. My bare foot finds the sharp edge of a shell and I search the sand for more. The beach looks big from the top of the dune, but on my knees I see more clearly. Tiny grains of sand, pebbles, and shells surround me. The beach is made from the small. I lean closer and drag my finger across the small grains to the muffled drone of pounding surf. 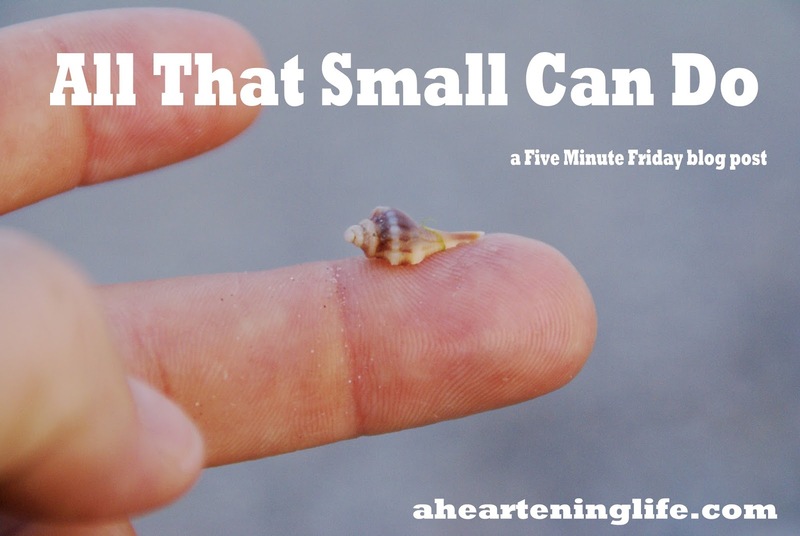 The itty-bitty shell sits alone on the end of a finger — beautiful, delicate, appreciated. But it's also a necessary part of the whole. I may feel small here, but I'm kneeling on all that small can do. I may be one, but my voice joined with others is a choir. And suddenly, small becomes something very beautiful to me — no longer an excuse, but an amazing opportunity. In May we plant — tomatoes, peppers, hopes. And we eagerly wait for the first signs — a bud, a ball of green promise hanging. We water and weed and pray for warm rays of sun and growth. The first harvest of juicy red plucked from backyard tomato plants instead of fluorescent lit grocery bins is sweetest. We celebrate and appreciate the fruits of our labors — the summer sandwiches and the flavors of homegrown vegetables in season. But today, I look towards the garden buried deep in snow and cold. I see the tangle of brown remnants poking out of the frozen white and the garden seems long forgotten. There's more to the garden then harvest. There's promise and hope and mystery. I plant in dark soil. I water the seedlings. But the rest is out of my hands. All I can do is tend. And watch the beautiful unfolding. In spring, we cultivate faith to plant and the hope to harvest. 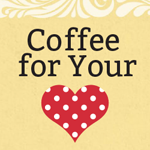 Today I'm linking with Lisa-Jo, but there's more to her link-up today. She's asking this blog community to help build a South African community a safe place for sustainable food, child care, economic empowerment, job skills trainings, a gathering place for church, classrooms for HIV/Aids education, and a playground for their kids. And she needs you! Click here if you want more information on how you can give. We convince ourselves that if the thing we fear were to actually happen that we wouldn't be okay. And not being okay, well, that is what we're really afraid of, isn't it? I am living proof that even when bad things happen to you, you're going to be okay. Because you are strong and resilient. Well, we all are when we have to be. 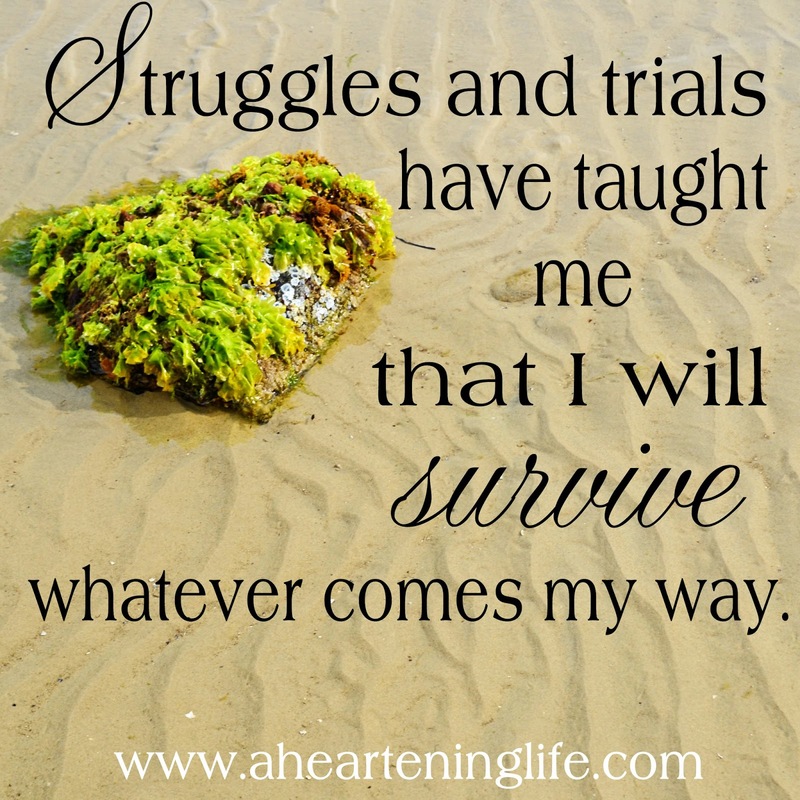 That's what struggles and trials have taught me — that I will survive whatever comes my way. Don't get me wrong. I don't always handle it with grace. But deep down, I know it won't end me. Through tear-stained cheeks you will fight the urge to flee. Or hide. Or give up. Because you know there is no way around it. You can only go through. And the blessing and the hope is you won't be alone when you do. No matter what happens, you’re going to be okay. And I wouldn't be either. For too many years I kept it a secret, stuffing surfacing memories down with a shudder trying to forget it happened. It doesn't work. You never forget. Memories weren't the only thing surfacing in me. 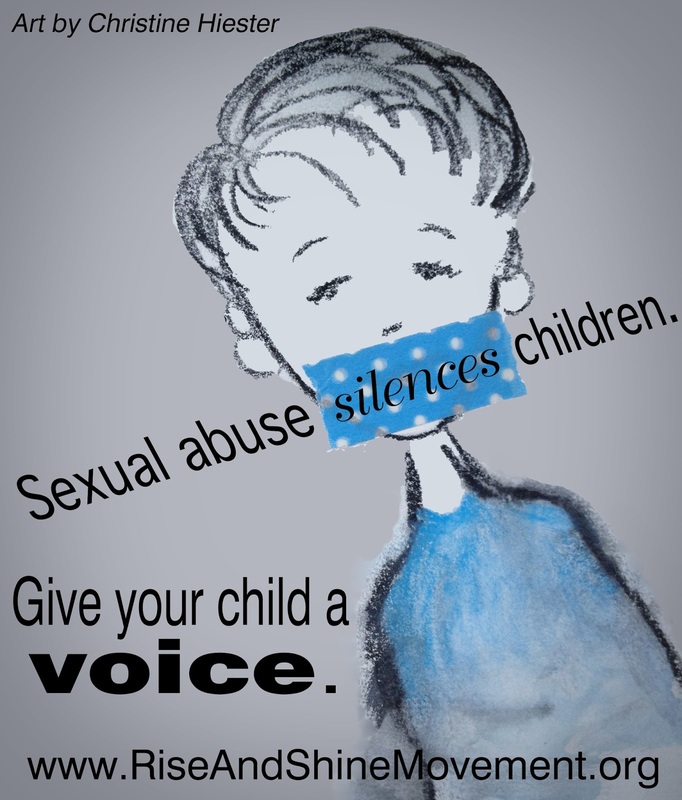 I slowly began to see how childhood sexual abuse was affecting me and my relationships with others. And I, hesitantly at first, took steps to find healing. 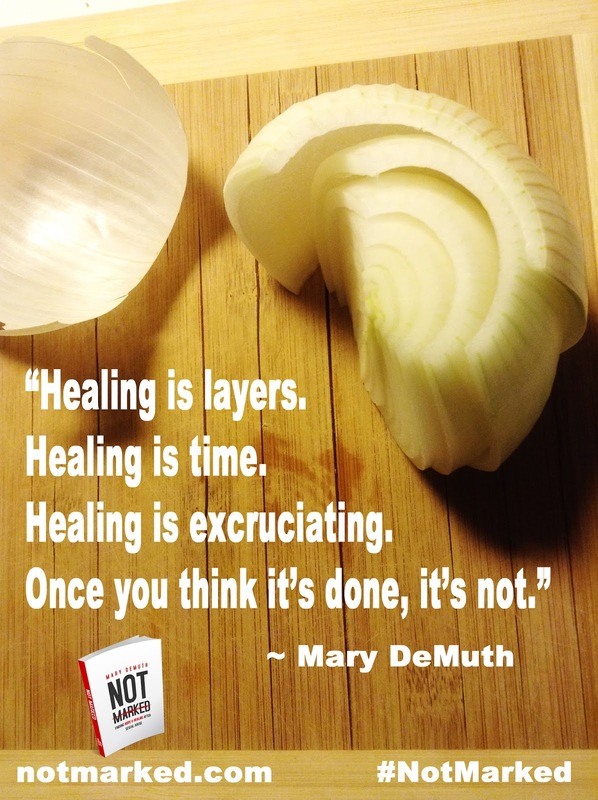 Mary DeMuth is right, healing takes a lot of time and effort. It's difficult and painful. And it's not a once and done thing. I have been working through healing on and off for the last 15 years because the effects of abuse are like the layers of an onion — new wounds are revealed with the peeling of each layer. 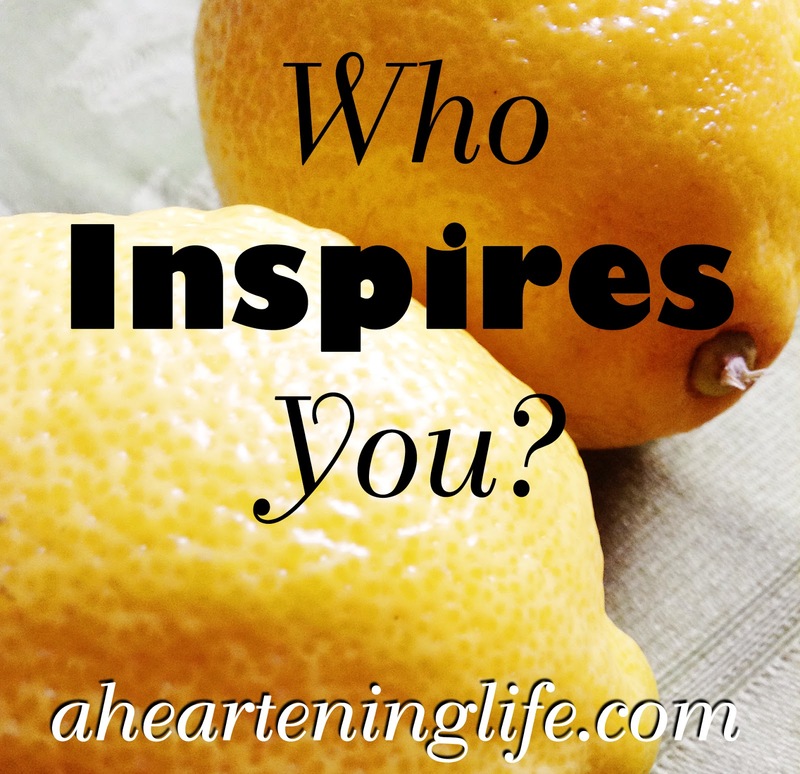 Mary DeMuth is an author and speaker. She has written over 20 books, both fiction and non-fiction. Her latest book, Not Marked: Finding Hope and Healing After Sexual Abuse, is releasing today and I had the privilege of reading it. Based on the statistics, we all know someone who has been sexually abused. Many of us love a survivor. Many of us are one. Not Marked is a book for everyone. 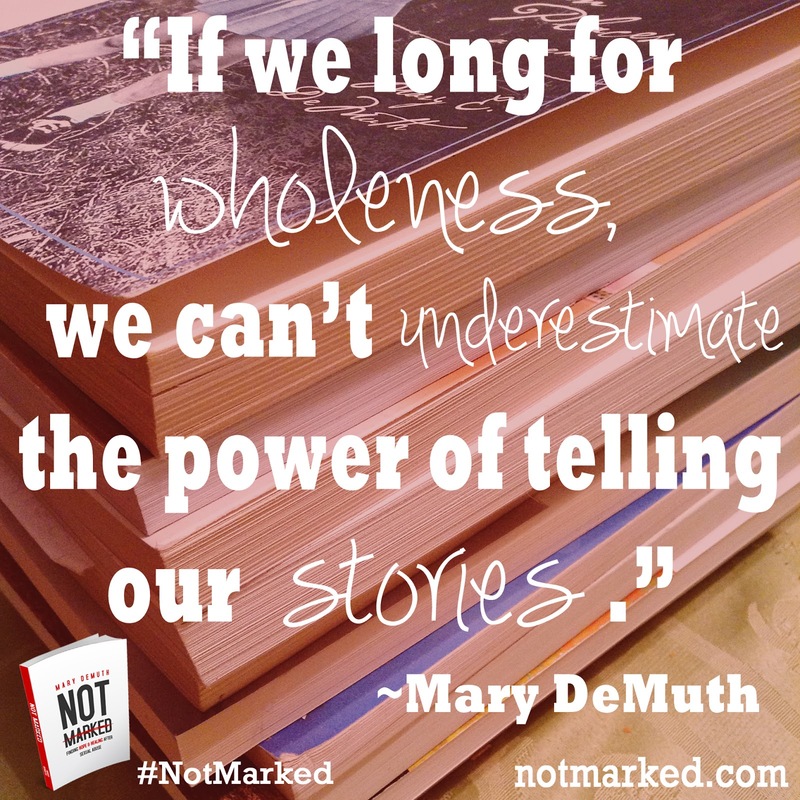 Not Marked is a powerful conversation about how childhood sexual abuse affects people. 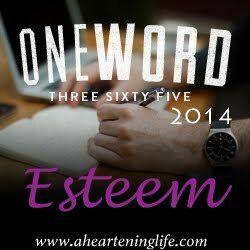 Mary DeMuth shares her raw story and the tenor of her words are the empathetic voice of someone who understands. She speaks openly about the impact abuse has had on her self-worth, her relationships, and her marriage and how she has walked the path of healing in these areas. Not Marked is a book about hope. 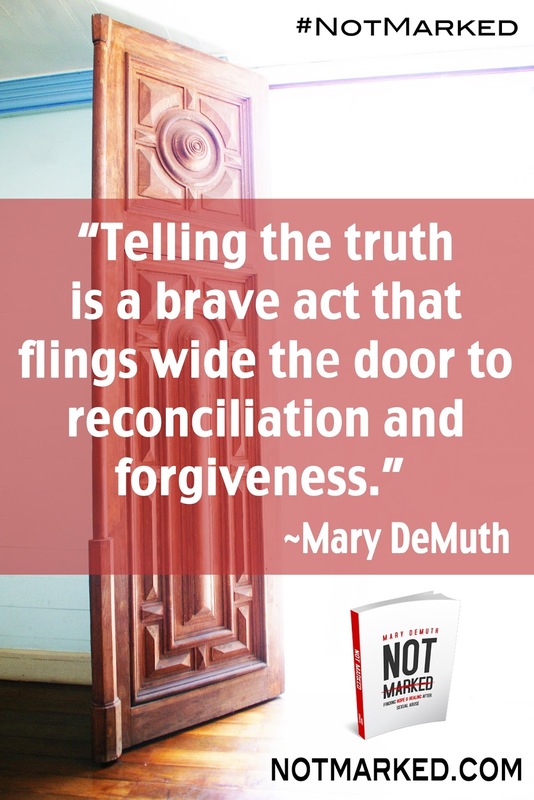 We often get stuck in the pain of our past, but Mary DeMuth firmly, but gently encourages the reader to pursue healing by being honest with yourself, finding your voice, sharing in community, and through prayer and the act of forgiveness. Perhaps the most unique aspect of Not Marked is the honest contributions by her husband, Patrick. 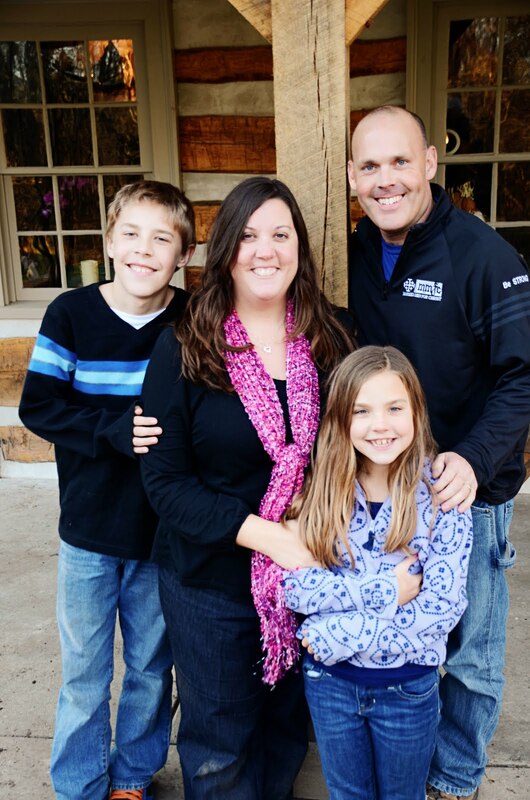 At the end of each chapter, Patrick shares what it has been like to be married to a victim of sexual abuse. He reveals his personal trials and triumphs with wisdom and encouragement for those who love a survivor. Sexual abuse doesn't have to define us. It doesn't have to mar our relationships or isolate us from others. I don't have to accept the wounds as my fate or feel like "this is just how it is for me." Not Marked opens the door to community with others who have suffered or may be suffering still. It unites us and reminds us that we aren't alone. And reignites hope for a better tomorrow. I'm not marked by the sin of sexual abuse. And neither are you. To order Mary DeMuth's new book, Not Marked click here. For more information on this book, visit the Not Marked website. Here's how you can receive over $80 worth of free resources when you buy Not Marked between February 10-17th. 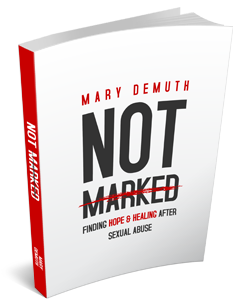 Here's how you can get a signed copy of Mary DeMuth's book, Not Marked. I have always liked writing — organizing thoughts and expressing them on the page. 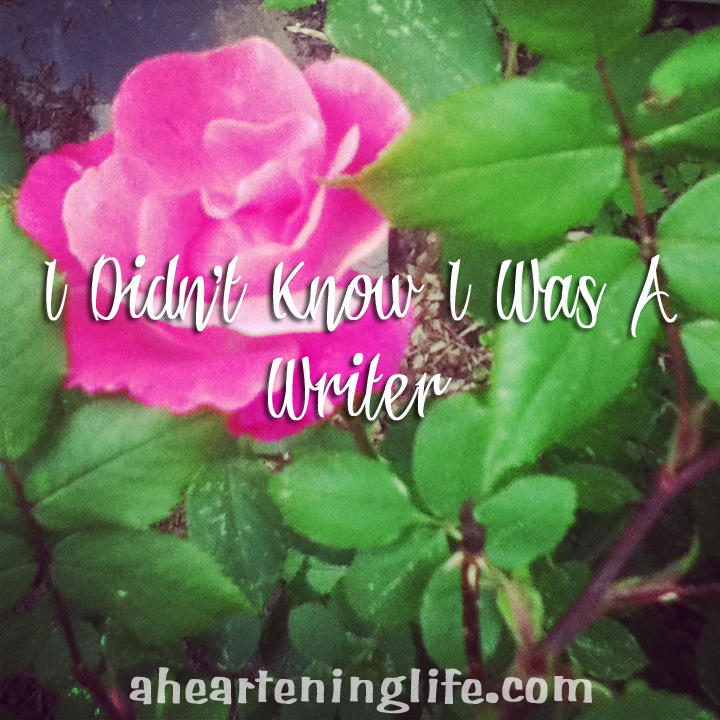 But I never dreamed I'd become a blogger. I started this endeavor after years of writing silence, when life was hard and confusing and words would have torn me apart. There were babies and exhaustion pulling on me until I had little left. Then words began seeping their way, passed the tired and used up. Words that spoke of Love and Truth and relationship. And I felt myself open up to them, like a bud to the coaxing warmth of the sun. It was in this space that I found writing again. Felt the power of words and how writing them down cleansed and freed. I didn't know I was a writer then. But the more I wrote, the more confident I became. The more risky and open and vulnerable I was willing to be. And if felt good to be honest. I don't regret the voice I have found here, writing for me, for you, for Him. Or the cathartic act that helps me process and connect with others who read my words and feel encouraged or understood or less alone in the struggle. I have always liked writing, but I never knew how much I needed it.